A stay at Sarnic Hotel (Ottoman Mansion) places you in the heart of Istanbul, within a 10-minute walk of Sultanahmet Square and Blue Mosque. 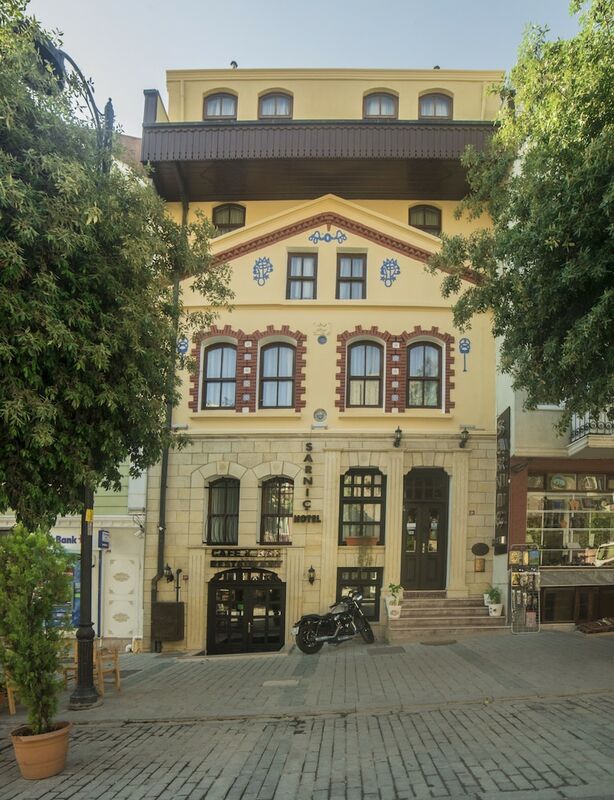 This family-friendly hotel is 0.4 mi (0.7 km) from Hagia Sophia and 0.6 mi (1 km) from Grand Bazaar. Make yourself at home in one of the 21 air-conditioned rooms featuring refrigerators and LED televisions. Your Select Comfort bed comes with premium bedding. Complimentary wireless Internet access keeps you connected, and satellite programming is available for your entertainment. Private bathrooms with showers feature complimentary toiletries and hair dryers. Take advantage of recreation opportunities such as an attached winery or take in the view from a terrace and a garden. This hotel also features complimentary wireless Internet access, concierge services, and shopping on site. Grab a bite to eat at Sarnic Hotel Restaurant, a restaurant where you can enjoy drinks at the bar, take in the garden view, and even dine alfresco. You can also stay in and take advantage of the 24-hour room service. Mingle with other guests at the complimentary reception, held daily. A complimentary hot/cold buffet breakfast is served daily from 8 AM to 10 AM. Featured amenities include a computer station, express check-in, and express check-out. A roundtrip airport shuttle is provided for a surcharge (available 24 hours), and free valet parking is available onsite. This property offers transfers from the airport (surcharges may apply). Guests must contact the property with arrival details 48 hours prior to arrival, using the contact information on the booking confirmation. One child 6 years old or younger stays free when occupying the parent or guardian's room, using existing bedding. Safety first: we provide to our customers the latest technologies in security online, your personal and banking data are protected at any time by SSL connections. Personal data protection: ebooking.com only use your personal data to process and ensure your booking, are never shared with third parties. Bookings free of charge: ebooking.com never will charge fees for its services in your credit card. Note: It is the responsibility of the hotel chain and/or the individual property to ensure the accuracy of the photos displayed. ebooking.com is not responsible for any inaccuracies in the photos.